It’s winter in Europe, and with winter comes the time to hit the snowy slopes of the French mountains. Stay at French HI hostels in the heart of the Alps, in Jura or Massif Central, and get high on fresh air, good times, and delicious local specialities. Discover the ultimate French comfort food guide! Star of rigorous winters, the Tartiflette combines golden potatoes, lardons, and onions covered with cream and topped with melted, gratinated local cheese, the reblochon. Needless to say, eating Tartiflette at HI Séez Les Arcs or HI Chamonix Youth Hostel is an authentic cultural experience! A typical Savoyard specialty, this small, square-shaped pasta made of buckwheat flour is very popular in the Tarentaise region, where HI Séez Les Arcs youth hostel is located. They’re generally accompanied by diots, a Savoyard sausage. At HI Chamonix youth hostel, they’re served in a croziflette. 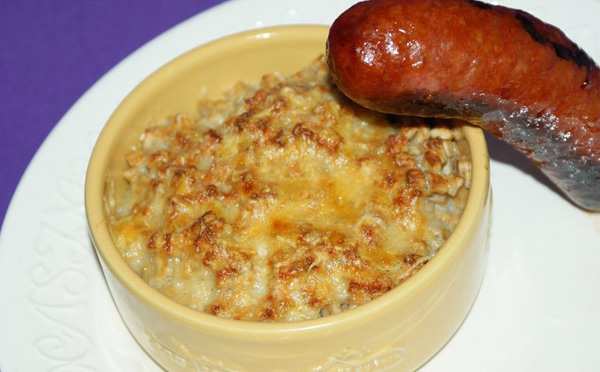 What is a croziflette, you ask? 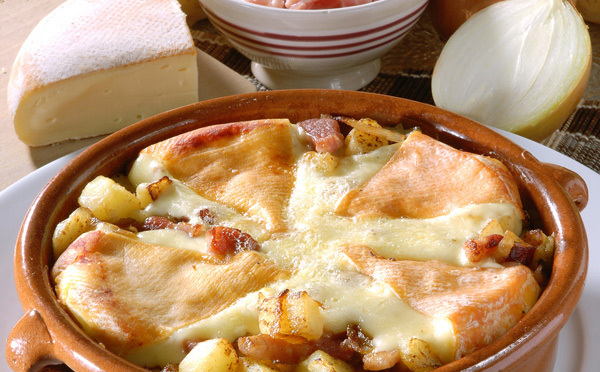 The sister of the tartiflette, of course, where the crozets replace the potatoes! 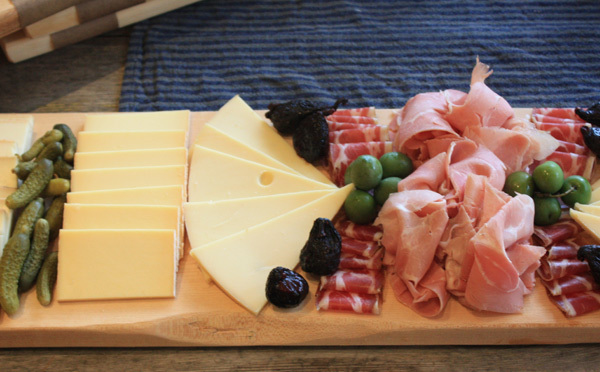 The Alps are a farmland, sometimes called a “vast cheese plate”. 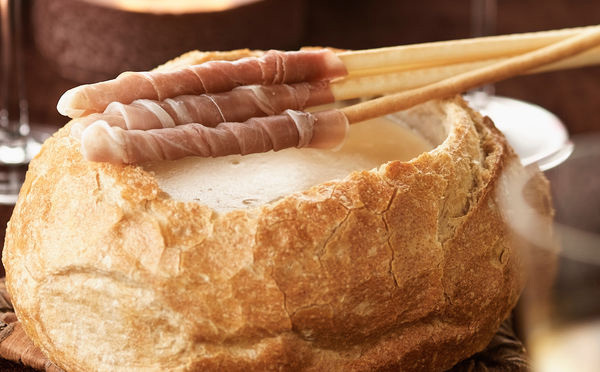 The Savoyard fondue, very popular in France, combines three Savoy cheeses: Comté, Beaufort, and Gruyère or Savoy Emmental. A culinary treat in which your pieces of bread swim delightfully in a vat of hot, ooey gooey cheesy goodness. 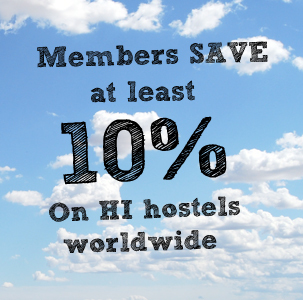 Try it at HI Chamonix or HI Val Cenis youth hostel! To continue your Savoyard gastronomic journey, you must try Raclette. Like all good things in life, this Swiss – Savoy specialty is also cheese-based, and — surprise! — this cheese is called Raclette. This dish is served with potatoes and local cured meats, and few foods will hit the spot during the cold winter months quite like Raclette. Indulge at HI Séez Les Arcs and HI Val Cenis youth hostels. You’ll also find Matafan, fricassee of caïon with crozets, cured meats like salami stuffed with nuts, cheese, or mushrooms, potée Savoyarde, potée auvergnate, hearty vegetable soup, Tomme cheese with petits pois or oignon, cheese soup, stuffed cabbage, farinade, and countless other cheeses to delight your palate; Reblochon, Tomme de Savoie, Meule des Alpes, Abondance, Tomme au marc, Bleu d’Auvergne, Fourme d’Ambert, Saint-Nectaire… the list goes on! Ask our hostel managers where to find all these treasures during your stay in the French Youth Hostels!